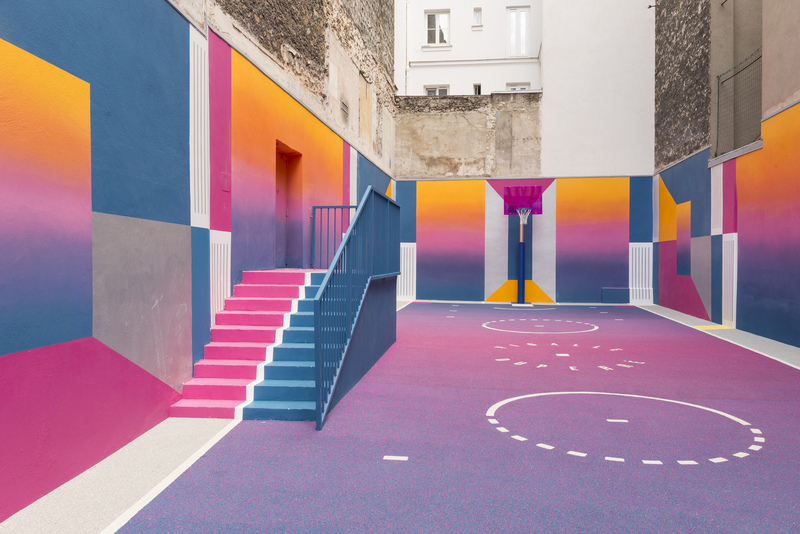 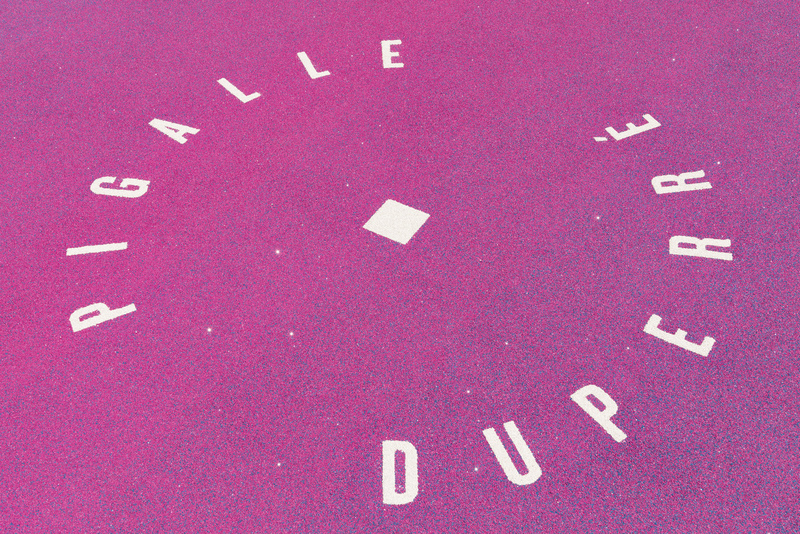 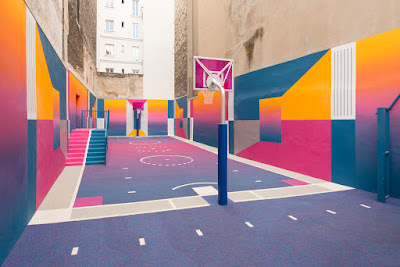 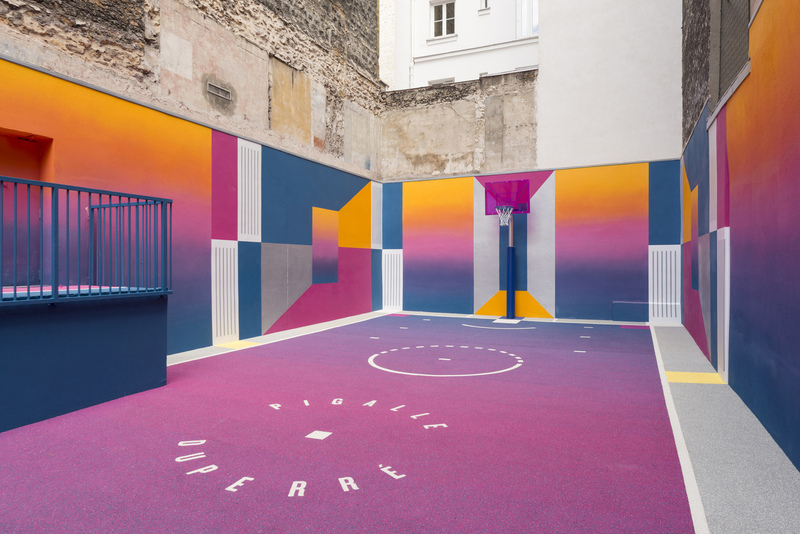 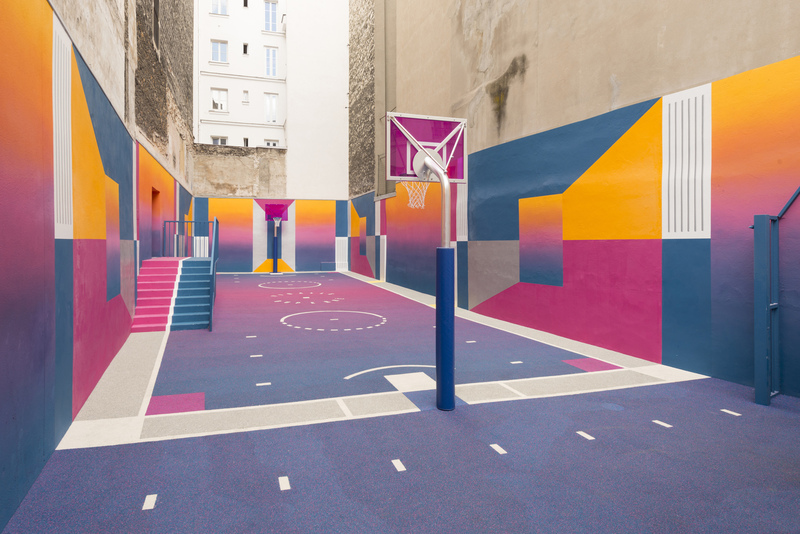 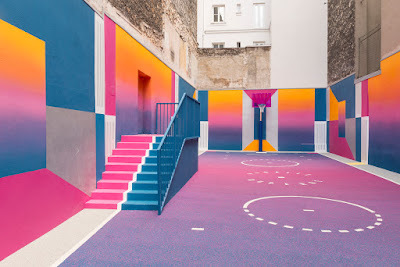 A painted urban basketball court in Paris, France. 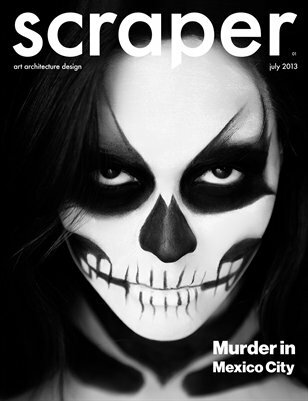 The anatomy of the human body as well as it's performances have had a lifelong relationship with art. 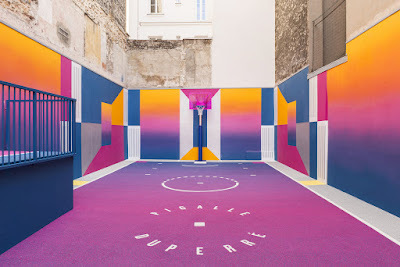 Since the legacy of Greek and Roman antiquity, sport is represented as a dominant idea within the beauty of an era. 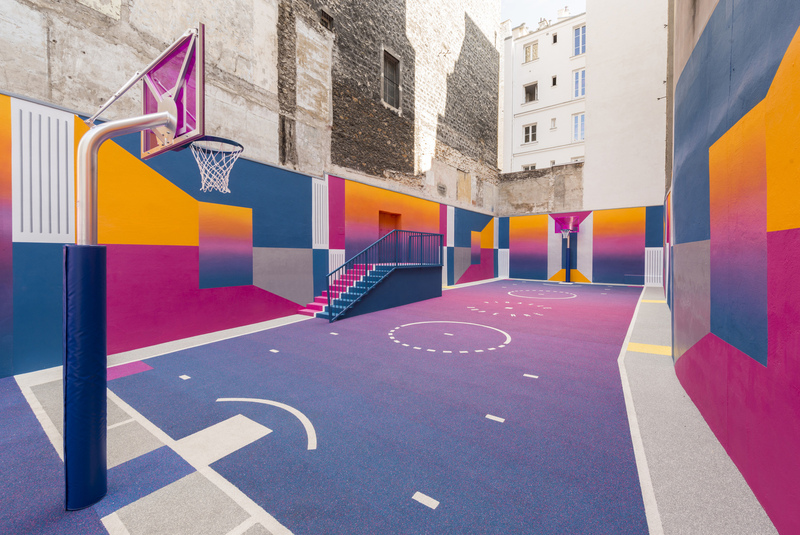 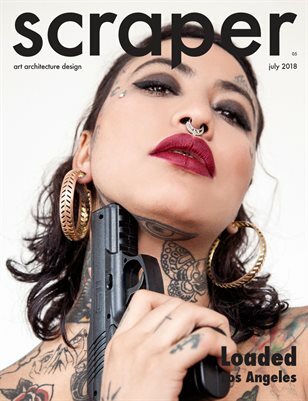 This never-ending quest for modernity has forged a strong bond between functionality and aesthetics over the decades. 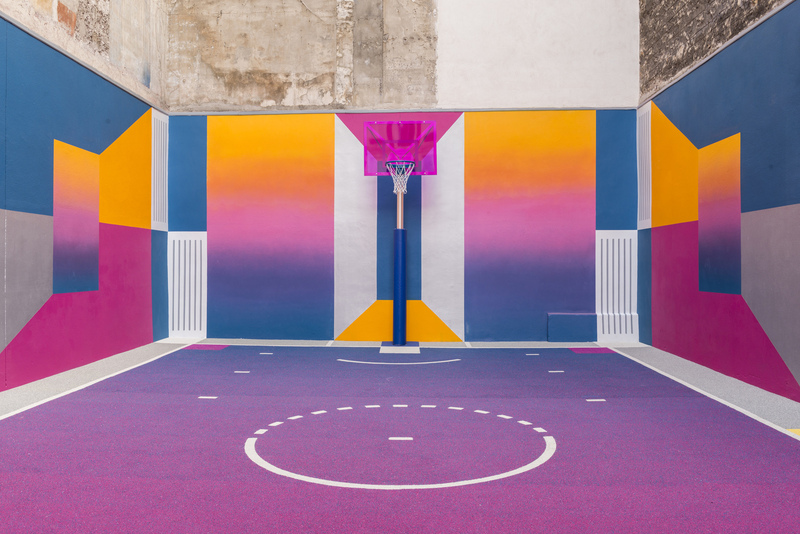 Through this new court, we wish to explore the relationship between sport, art and culture and its emergence as a powerful socio-cultural indicator of a period in time. We aim to establish visual parallels between the past, present and future of modernism from the « Avant Garde » era of the beginning of the 20th century, to the « Open Source » times we live in today, and our interpretation of the future aesthetics of Basketball and sport in general.